For I have received from the Lord what I also delivered to you, that the Lord Jesus on the night that he was betrayed took bread, and when he had given thanks, he broke it and said, "This is my body which is for you. Do this in remembrance of me." In the same way also he took the cup, after supper, saying, "This cup is the new covenant in my blood. Do this, as often as you drink it, in remembrance of me." For as often as you eat this bread and drink this cup, you proclaim the Lord's death until He comes. Therefore, whoever eats the bread or drinks the cup of the Lord in an unworthy manner will be guilty of sinning against the body and blood of the Lord. Each one must examine himself before he eats of the bread and drinks of the cup. Holy Communion will be scheduled on the third Sunday of every month, subject to change. 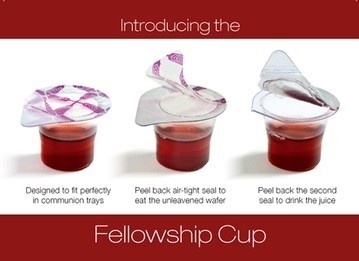 It shall be offered to all congregational members and visitors who have accepted Jesus Christ as their Lord and Savior and wish to receive the body and blood, represented in the form of a fellowship cup, in remembrance of Jesus Christ. For those who have not yet accepted Jesus Christ as their Lord and Savior, they may do so during the Altar Call or Salvation Prayer prior to participating in the next scheduled Holy Communion. Holy Communion will be administered by Clifford Okimoto under the guidance of Pastor Lance.